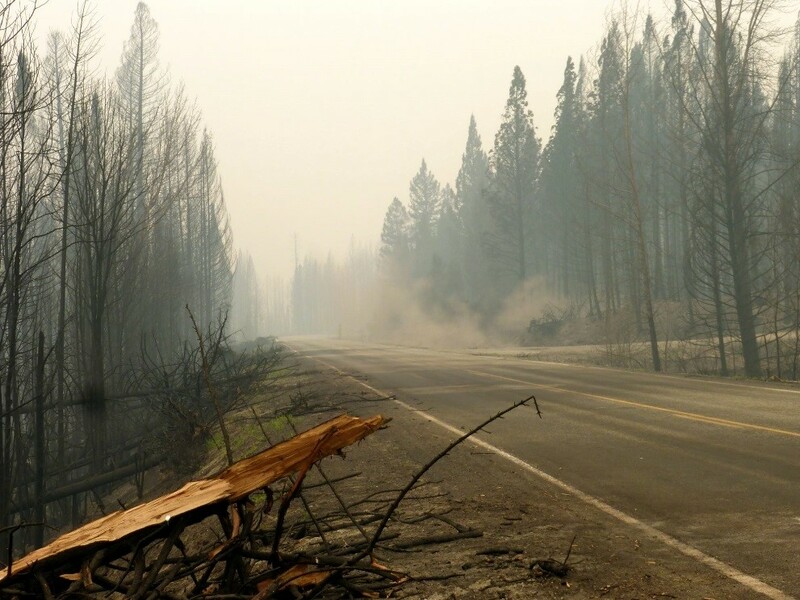 For the past nine weeks, intense wildfires have been burning in Washington State as a result of extreme drought conditions, affecting an estimated eight-hundred and fifty square kilometres and approaching within five-kilometres of Republic, Kettle River-Buckhorn’s neighbouring town. Click here to see video footage of some of the devastation. Although the KRB operations haven’t been affected and are not at risk at this time, some KRB employees have received evacuation notices. “We are all closely monitoring the situation. Evacuation notices are constantly changing and making sure that team members are able to keep their families and homes safe is a priority,” said Mark Ioli, Vice-President and General Manager, KRB. Even at a difficult time, eleven KRB employees are volunteering their time as firefighters to help in the community. Not only are KRB volunteers battling the blaze, but also are coordinating logistics between the local fire department as well as state and federal agencies. The KRB volunteer firefighters also helped construct an eight-kilometre fire line between the fire and the community to increase water availability and provide a fire break. Two Kinross father-son teams – John Gianukakis, Underground Production Shift Supervisor and his son Zack Gianukakis, Underground Miner as well as Boyd Hewitt, Mill Manager and son Eric Hewitt, Mill Mechanic – are also volunteer firefighters assisting those who have been evacuated. Other Kinross volunteers are working with local shelters to transport items like food, water, clothing and toiletries. Kinross Toronto is accepting donations for the month of September to support Washington firefighting efforts, assist evacuees and those who have lost their homes.